T-Series are proud to present the highly anticipated brand new smash hit single released by Diljit Dosanjh entitled “High End“, music by Snappy! 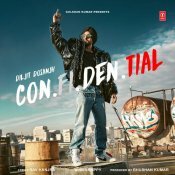 Taken from Diljit Dosanjh’s brand new album “Con.Fi.Den.Tial” releasing 28th February! !